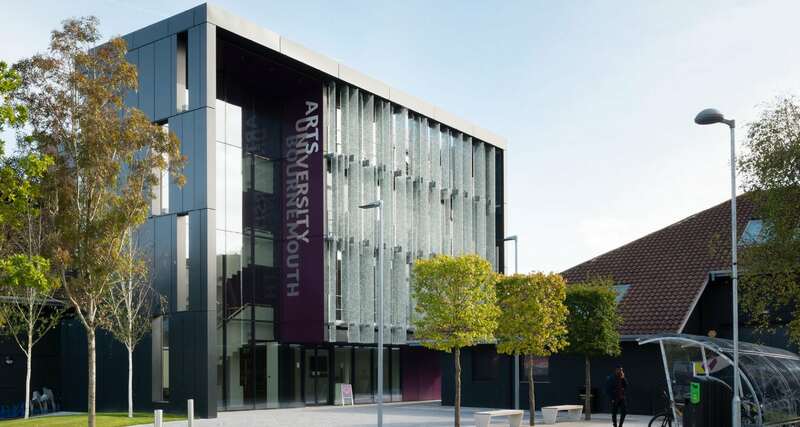 You can take a look at our opening times and download a map of our campus here. There are currently extensive roadworks on the A338 that is causing delays. If you are travelling to AUB by road we strongly advise that this is considered when planning your journey. You can find out more information about this here. Bournemouth Train Station is served by a fast inter-city rail link from London Waterloo. There are also regular trains from Poole, Southampton and other major cities. The Wallisdown Campus is about 1.5 miles from the train station and a 5-10 minute journey by taxi. The Morebus number 17, or Yellow Buses number 6 and number 36 will take you from Bournemouth Train/Coach Station (Travel Interchange) to the University campus. The journey will last around 10–15 minutes. The Unibus U1 will take you to campus from Holdenhurst Road. A taxi takes about 5-10 minutes. Parking spaces on campus are limited to permit holders, except for the events listed below. However, we can book parking spaces on campus for visitors with disabilities. Please contact +441202 533011 to arrange a space or if you have any other parking-related queries. Parking on campus is available for open days and campus tours. Pre-booking is not required. 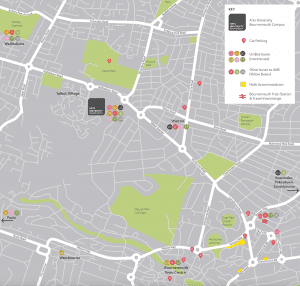 You will be welcomed on to campus by our team or directed to an alternative, nearby car park. If you have any special requirements or require a disabled space, please let us know by emailing opendays@aub.ac.uk. Parking on campus is available for interview, auditions and applicant days. Pre-booking is not required. Please inform Security on arrival that you are in attendance for interview, audition or an applicant day. If the applicant is not the driver you can still park on campus. You’re welcome to stay and enjoy our facilities, alternatively, you can follow the signs to the town centre where there are plenty of places to eat, drink and visit. There are nearer parking options in Winton, some within walking distance and others on bus routes. Winton parking is on a smaller scale often involving a more complex route to AUB. We recommend planning your route in all instances before you travel. Please see the below map for information on bus routes, Bournemouth train station, parking options and placement of halls of residence. Listed below are some external websites that give information about hotels in Bournemouth and the surrounding area. Please be aware when booking your hotel that the University campus is a 2 mile drive from the town centre.